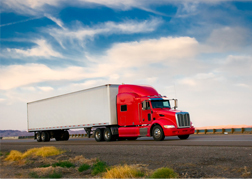 The Truck Loan Center is your premier source for truck and trailer financing and loans. We have the expertise to help you secure the best truck loan for your specific circumstances. We have worked with thousands of clients over the years and have made it our priority to work with lenders across the country so we can structure truck loans that work for our clients. We make sure that the process is transparent and fluid so we can make the truck loan application as easy as possible for you. Because we work for you, the client, we are not tied to any one particular manufacturer or dealer. We are your partner in the truck loan process. Our job is to make sure you can walk into any dealer with confidence and have a pre-approved amount already in place so you can stay within your budget. In this unclear and confusing business, we try our best to give you clarity. We want to make sure you leave our offices with the comfort in knowing that you received the best service and product to fit your individual needs. There are many people who claim to be the real truck loan specialist, but we pride ourselves on being the ONLY truck loan specialist.